It's easy to be content with your computer installation as long as it keeps doing what you want it to without too much trouble. When frequent problems arise, however, it's hard to remain faithful for long. 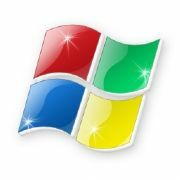 The majority of the computing world "grows up" on Windows, of course, since Microsoft's operating system still holds by far the largest share of the market. Not everyone stays there, however. Growing numbers, in fact, are switching to Linux every day, and for good reasons. How do you know when it's time to switch to Linux? Here are just a few (mostly) serious signs. You wake up one day and realize you're tired of paying for an operating system that's more bogged down with bugs than most alpha builds are. What, exactly, are you paying for here? Then, of course, there's also all the antivirus software you have to buy to keep it running. With Linux, on the other hand, countless developers around the world are working around the clock to keep the 100 percent free operating system at the head of its class. If you find yourself upgrading perfectly good hardware just because resource-hungry Windows demands it, you might be using the wrong operating system. Your older hardware probably still is fundamentally pretty good; too bad there's all that malware dragging it down. Thanks for sharing that love, Windows! Note to Microsoft: a stronger permissions system would have been a lot better, just FYI. You've experienced your share of Patch Tuesday repair efforts, and they aren't getting any more fun. In fact, they're getting worse. It wouldn't be so bad if you didn't know how long the bugs had been there, flapping in the breeze, before they finally got fixed. Who among us doesn't enjoy spending hours at a time scanning for viruses and spyware and defragmenting? Well, probably all of us don't enjoy that, actually. Then, too, there's all that unplanned downtime. Don't we have other things to do? If Windows' boot speed were faster, when would you make your coffee? Right. Sadly, that argument doesn't quite cut it anymore. Your business associate in Berlin tried to send you an .ODP file--based on the international standard file format--but PowerPoint wouldn't read it properly. So much for interoperability. It's no accident Internet Explorer's market share is slipping, and vulnerabilities are a big part of it. Then, too, there's the monoculture effect making it all worse. It's no longer fun waiting to see when Microsoft will fix bugs, or what new features it will come out with. You're ready to start driving changes like that yourself. Though it can be altered in very small, superficial ways, Windows can't hold a candle to Linux when it comes to customizability. Are you just another face in the crowd? Of course not, and Linux recognizes that. Is Linux perfect? Certainly not. But it is a lot better than Windows in so many ways. Isn't it time for you to finally make the switch?